Where faith and fun come together! Our Children’s Ministry serves kids from birth through grade 6. We are a community where kids have a great time learning Bible truths. We’ve worked hard to provide a fun and safe environment that is Kid-Tested and Mother-Approved. We believe that parents are the primary influencers so our mission is to partner parents. We also believe that when the household and the church come together there’s nothing we can’t do. Our children’s team helps parents answer the question: what kind of child will our household produce? One that is filled with love, joy, peace, patience, kindness, goodness, gentleness and self-control…? That’s our hope and our aim. When you drop off your children, nursery to 8th grade, they will experience a safe and fun environment, caring teachers and a lesson that will last a lifetime. Our kids ministry meets at our 10am service time. 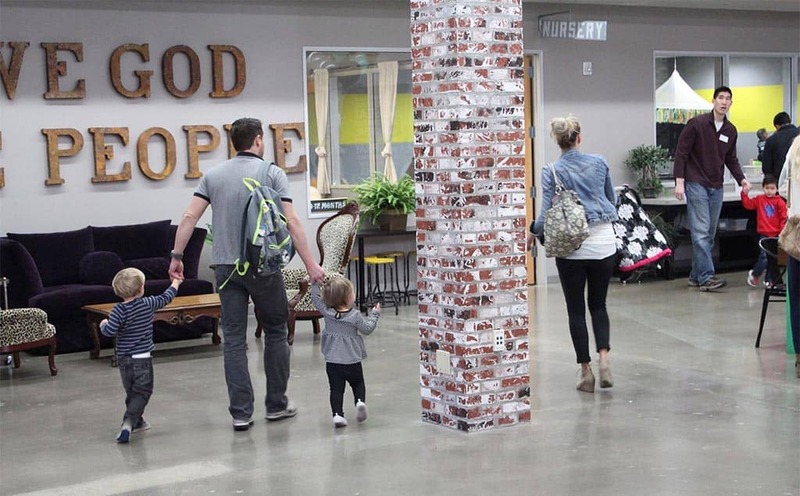 If you walk into our building you will see signs directing you to the children’s area on the left. We can’t wait to see you and your family. Watermark Kids is our children’s ministry uniquely designed with your child in mind. Kids birth through fourth grade experience safe, age-appropriate environments where the Bible is taught in a creative and relevant way utilizing Tru curriculum. Tru focuses on knowing God personally, igniting passion for Christ, learning to listen to His Spirit and keeping Biblical content true to context. Tru also helps cultivate a concern for people’s needs in our communities and around the world and maintain the parents as the primary nurturers of their children’s faith. Sound incredible? It is. That’s why we chose it. Join the fun and experience a world where kids meet Jesus on their own level. Fifth and Sixth Graders are often called “tweeners” because they are in between elementary age students and Jr. High age students. Not only are they “tweeners” in their age and grade, but also in maturity and spirituality. Our 5th/6th Ministry is designed to bridge the gap between Watermark Kids and The Garage (our Jr. High and Sr. High ministry). Our twofold purpose is to walk with families as their children begin transitioning into adolescence and to provide a youth group specifically for 5th and 6th grade students to grow closer to God and learn to live Christ at home, school and their busy lives. For more information contact our Children’s Ministry Coordinator, Robin Ramsey.